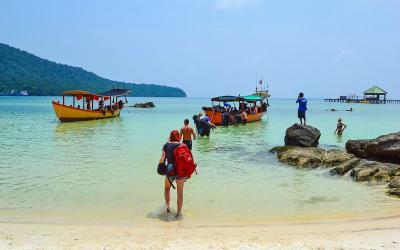 Northern Thailand is one place that cannot be excluded from any itinerary of travelers venturing to the Kingdom. The cuisine is different than that of any other region. The weather is less humid and more enticing than Central and Southern Thailand. Lastly, the landscaping is absolutely astounding. Things do get tricky, however, if you have limited vacation time and must decide between the northern region’s two most popular cities: Chiang Mai and Pai. For those of you who are dreading dicing up your route, we have broken down both cities and what makes each one enticing in order to help make your decision on which city to visit an easier one! Chiang Mai, otherwise referred to as the northern capital, is a mountainous city that is surrounded by lush landscaping yet filled with historic finds throughout its city center. 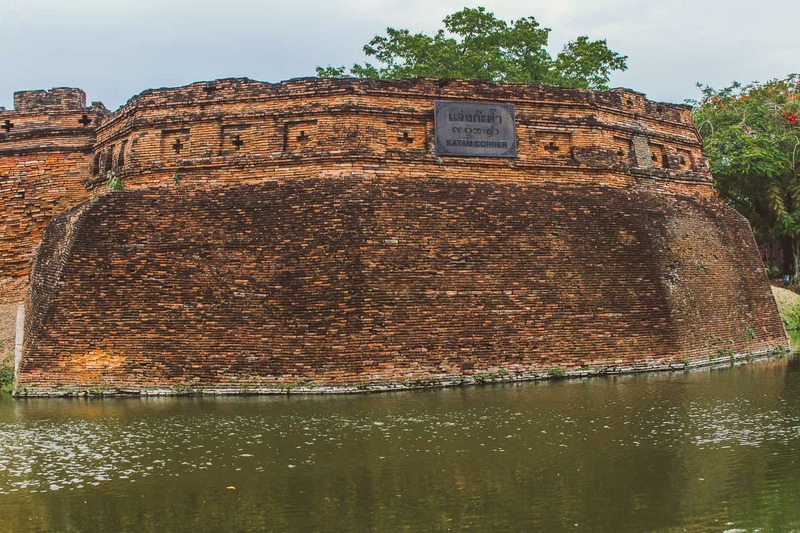 The 800-year-old moat that surrounds the inside of the city is enclosed by the crumbling ruins of what used to be the powerful Lanna Kingdom. 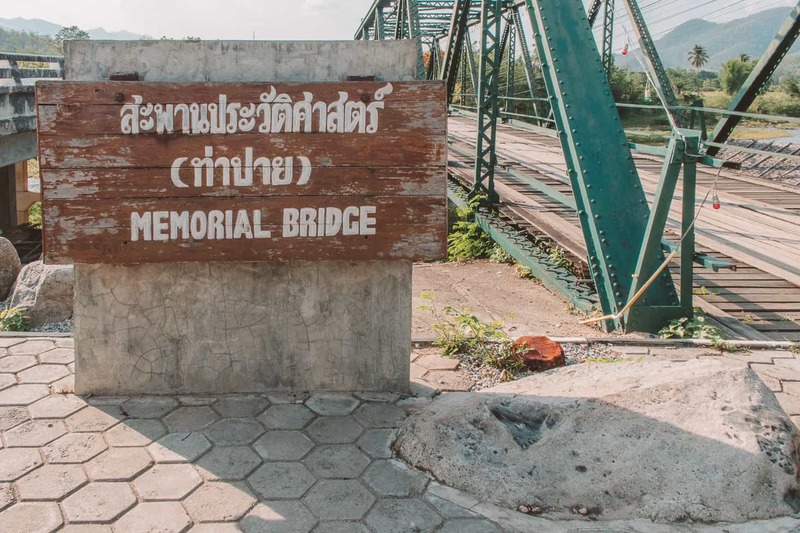 Should this be the city you include on your Northern Thailand itinerary? Self-proclaimed foodies will simply fall in love with the city of Chiang Mai. 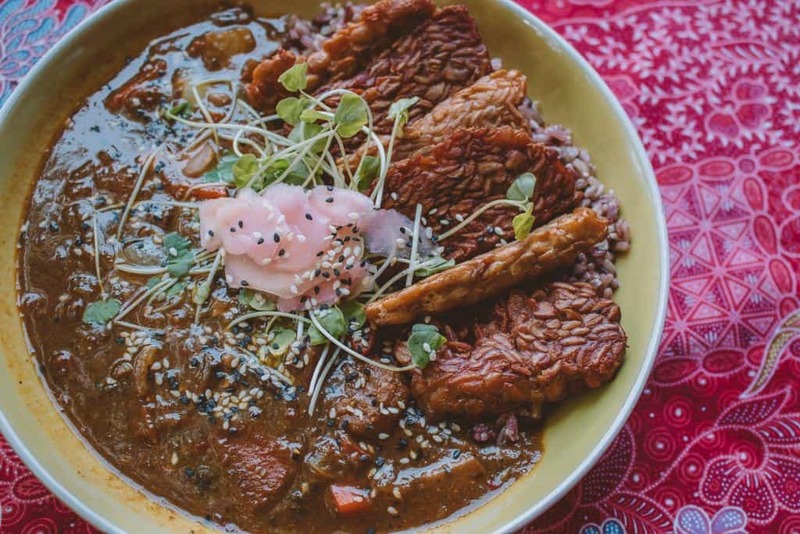 This city has an array of restaurants that will appeal to every diner and diet, with international, Thai, vegetarian, and vegan restaurants to choose from. You simply cannot run out of dining options while visiting the city, making it one of the top destinations in the country to dine in. There are also plenty of night markets lined with local street food vendors with dirt cheap dishes. 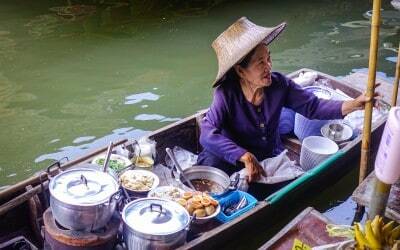 For more information about where to eat in Chiang Mai, give our complete dining guide a read! Nightlife tends to shut down in Chiang Mai at about midnight. You will find a handful of venues that stay open past 12 a.m., including Spicy, for example. With that being said, if you are ready at about 8 p.m. you can really take advantage of the nightlife in Chiang Mai. Venues include jazz bars, dance clubs, hip-hop venues, reggae bars, and much more. Some of our favorite venues include Zoe in Yellow, The Lost Hut, and Sax Music Pub. 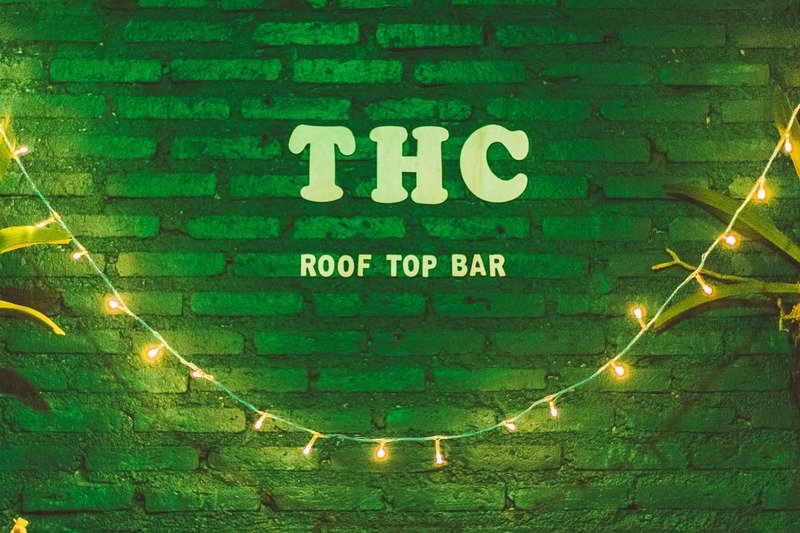 For more information about Chiang Mai’s nightlife, check out our complete guide. 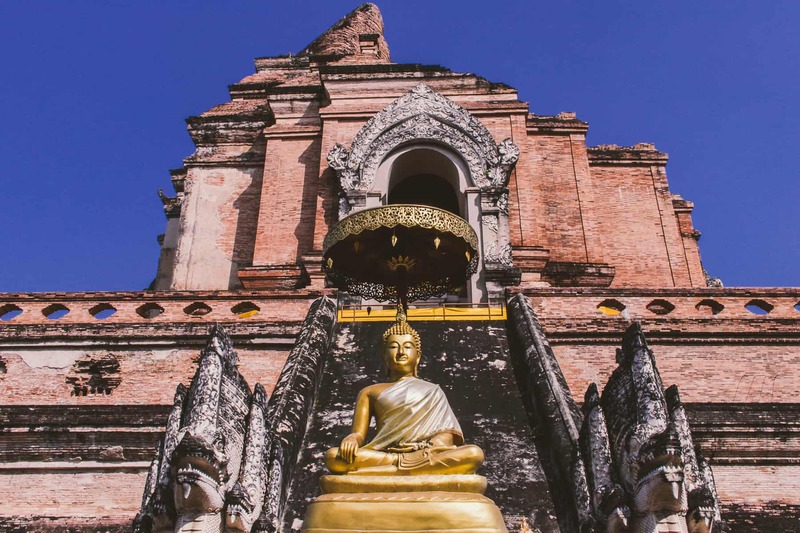 If you are looking to go temple-hopping, Chiang Mai is the city to frequent. There are some 300 temples in Chiang Mai, many of which are located in the Old City and within walking distance of one another. You will literally never run out of religious structures to visit. The top temples to visit include Wat Phra That Doi Suthep, Wat Suan Dok, and Wat Umong. In addition to temples, there are also massage parlors to relax in, yoga studios to frequent, and loads of adventurous activities found just outside of the city center. For even more top attractions, check out our list of 19 incredible things to see and do in Chiang Mai. This city is perfect for adrenalin junkies looking to get their hearts racing with exciting excursions found throughout the outskirts of the city. From ziplining to whitewater rafting to taking to the mountains via four-wheeler, there are plenty of outings that will get your heart racing. In addition to thrilling day trips, there are also plenty of excursions that are a bit more mellow and laid-back, such as an unforgettable trip to the renowned Elephant Nature Park. 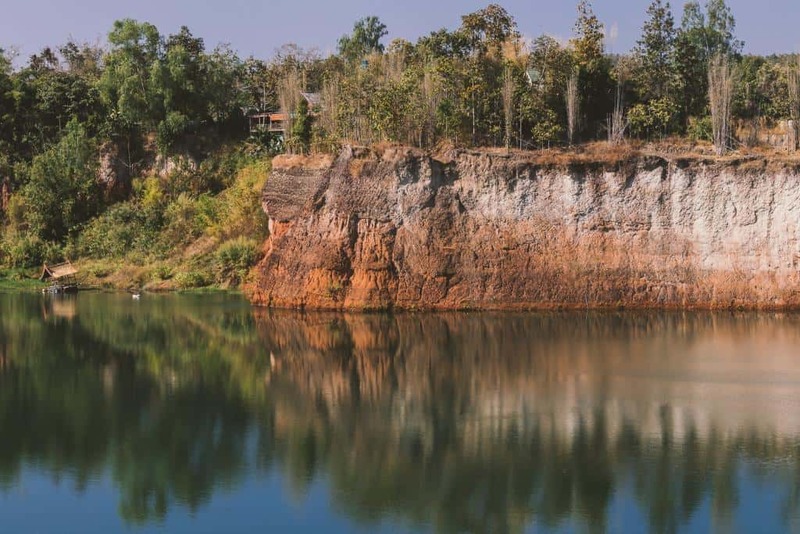 Some of the other top day trips include a visit to the Huay Tung Tao Lake, Bua Tong (aka the Sticky Waterfalls), and Chiang Dao Cave. For more information about the top day trips from this incredible city, check out our complete guide. 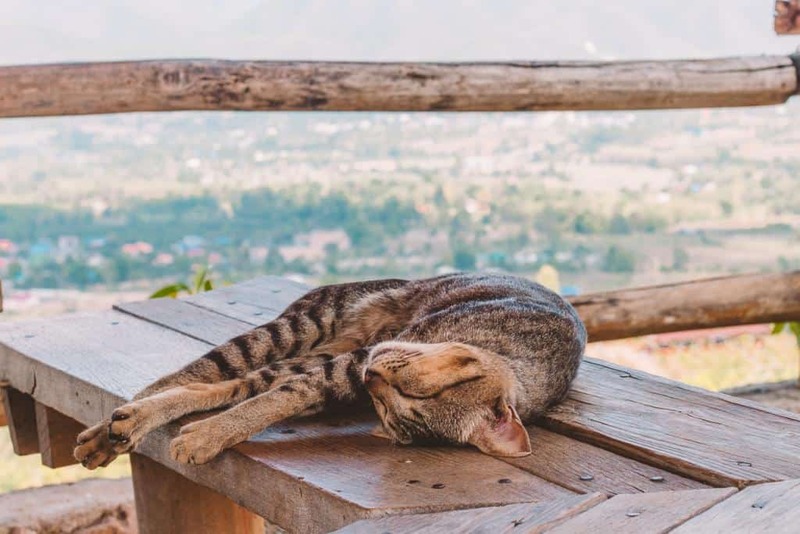 If you are a bit more adventurous and lounging is not exactly your cup of tea, then we suggest visiting Chiang Mai over Pai. There is a better nightlife scene in terms of diversity, more restaurants to choose from, and overall a more hopping city than its hippie, northwest neighbor. With that being said, Pai is equally as enticing but for entirely different reasons. 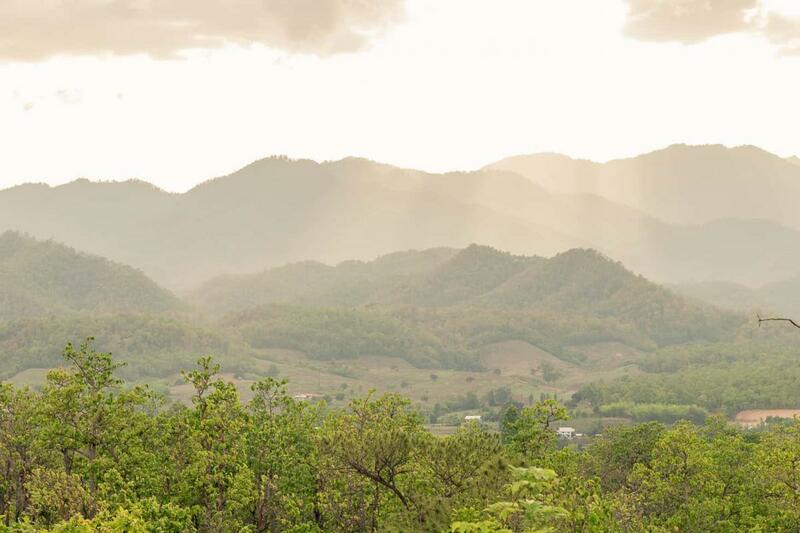 Found nestled amongst the mountains is the laid-back city of Pai. 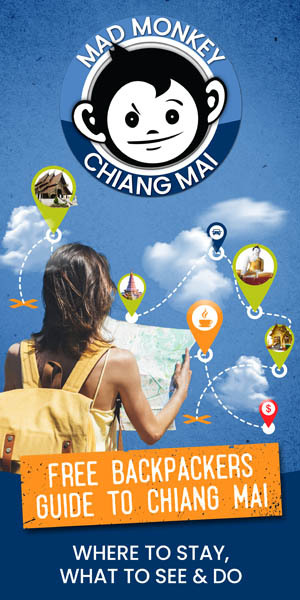 It is some 135 kilometers from Chiang Mai and can be reached by bus, plane, car, or motorbike from the northern capital. It takes about four hours by car and bus to get there and is worth every hair-raising turn to visit. If you are looking for a city that is a bit quieter than Chiang Mai or a Thai city in which you can simply chill in, Pai is the place to be. Though diners have a much smaller selection of restaurants to choose from, Pai still holds its own in terms of delicious venues in which to dine in. There are vegan and vegetarian-friendly restaurants galore, as well as incredibly applaudable international restaurants serving up French, Mexican, and American comfort foods, for example. Pai Walking Street is also a great stretch of road featuring everything from pad Thai to pizza. The options are seemingly endless, regardless of the fact that Rungsiyanon Road is seemingly not very long. 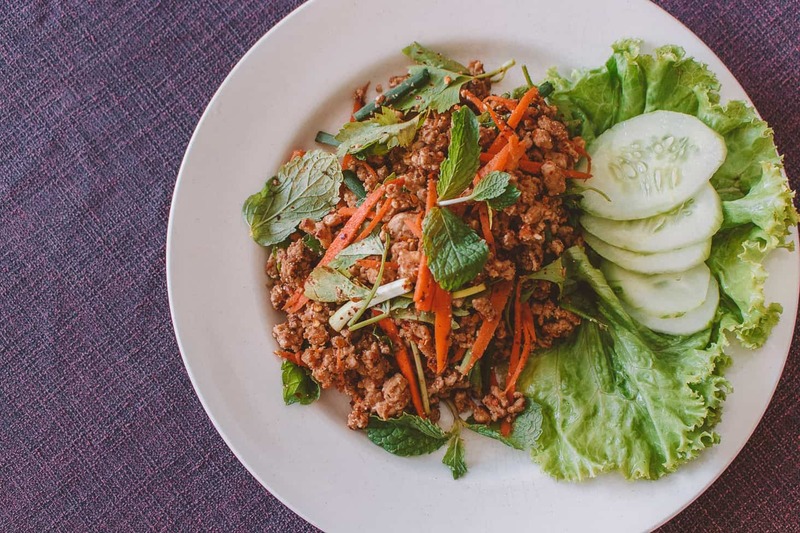 Be sure to give our complete dining guide to Pai a read before visiting! Pai has its fair share of live music venues, pubs, club-like venues, and more. 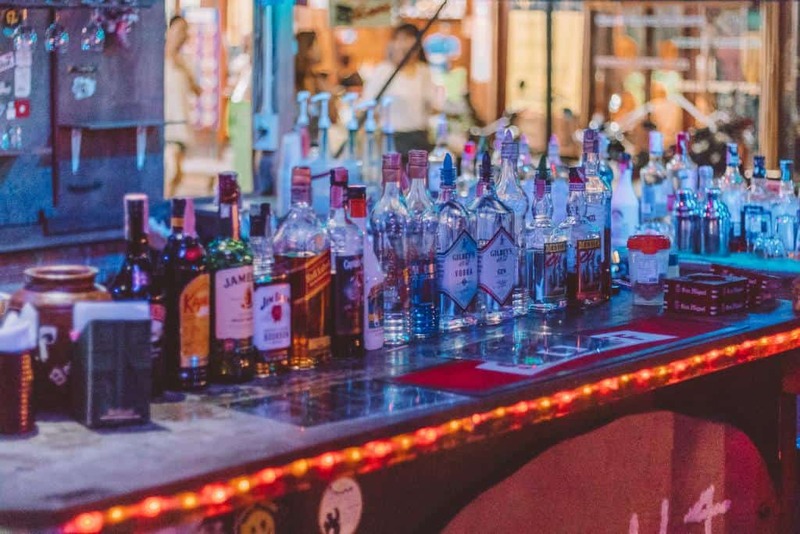 There are plenty of happy hours, and many hostels here are equipped with bars that serve up cheap drinks and are perfect for meeting your fellow backpackers at. If you are wanting live music, be sure to check out Jazz House, Mojo Cafe, Yellow Sun Bar, or Boom Bar. If you are a night owl, then be sure to venture to Don’t Cry Bar, one of the only venues that is open late. For even more information on things to see and do after dark, check out our nightlife guide to Pai. In comparison to Chiang Mai, Pai is seriously lacking in the temple department. 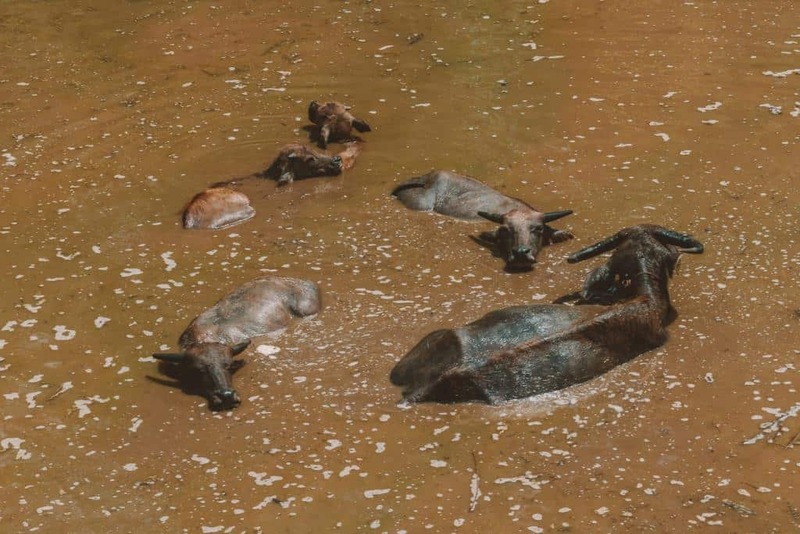 There are a total of about six noteworthy ones that visitors can make pit stops at, but we recommend skipping these over if you are on a tight schedule. 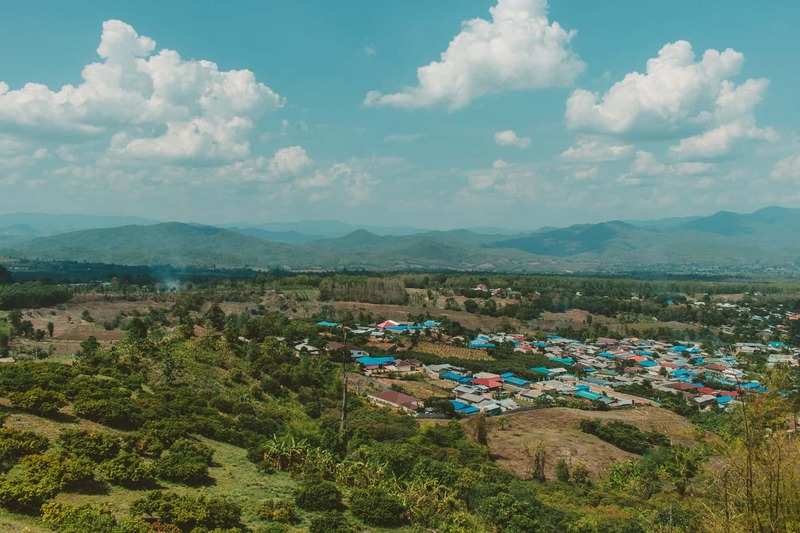 Instead, you should visit the Pai Canyon at sunset, sip on some roselle wine at the Pai Land Split, or walk up the 300 some steps to see the Temple on the Hill, otherwise known as the Wat Phra That Mae Yen. 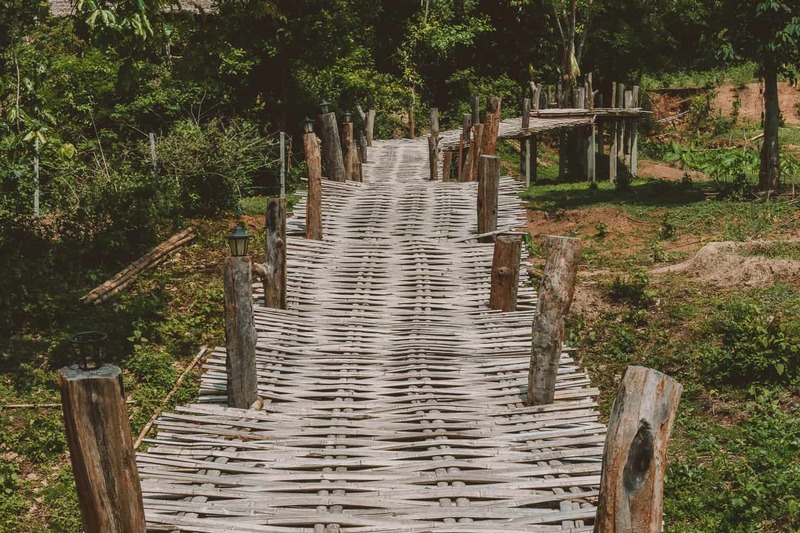 The Memorial Bridge gives visitors some pretty views of the Pai River, while the Bamboo Bridge takes tourists into the depths of Pai’s natural landscaping. For more information on the top attractions in Pai, check out our list of the top 20 things to see and do! 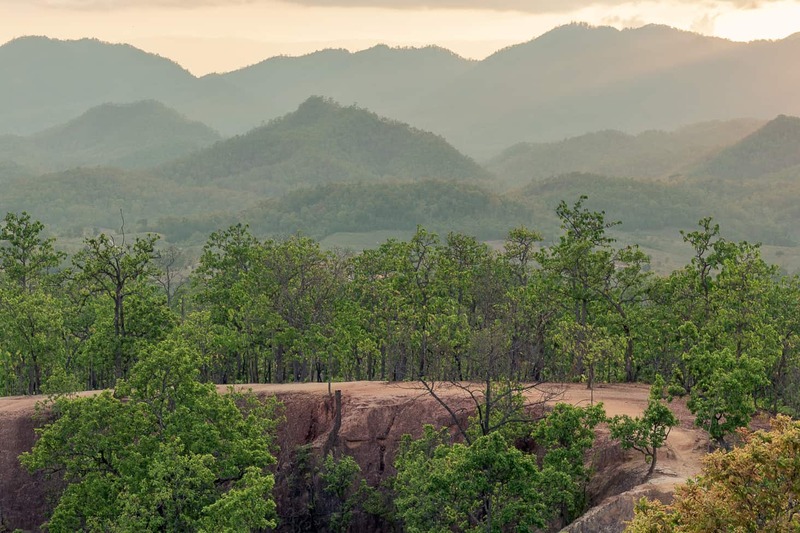 There are only a handful of day trips visitors to Pai can take advantage of while visiting this Northern Thai city. These include the Mae Yen Waterfall and the Tham Lod Cave. Otherwise, the top attractions, including the Yun Lai Viewpoint and Chinese Village, are but a short motorbike ride away. With that being said, many of the top attractions can be compiled into a whole day of excursions to make a one-day itinerary. 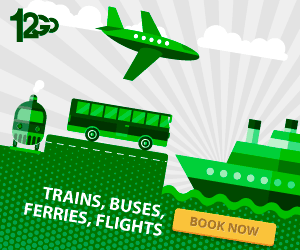 This is essentially the equivalent of a day trip! Pai is a paradise for hippie and chill travelers with a love for all things easy-going. Time certainly stands still in this carefree city, calling all backpackers who need a break from a busy Thailand itinerary. If you want a bit of action, there are plenty of ways in which to entertain yourself, as well, providing travelers with the best of both worlds. All in all, you cannot go wrong by visiting either Pai or Chiang Mai. If you are an urban-loving traveler, then maybe it is time to bid farewell to the grey and bustling décor and instead venture to either one of these naturistic cities that offer travelers some pretty incredible day trips, eateries, and much more. Whatever city it is you decide on, prepare for one of the best backpacking experiences of your life. 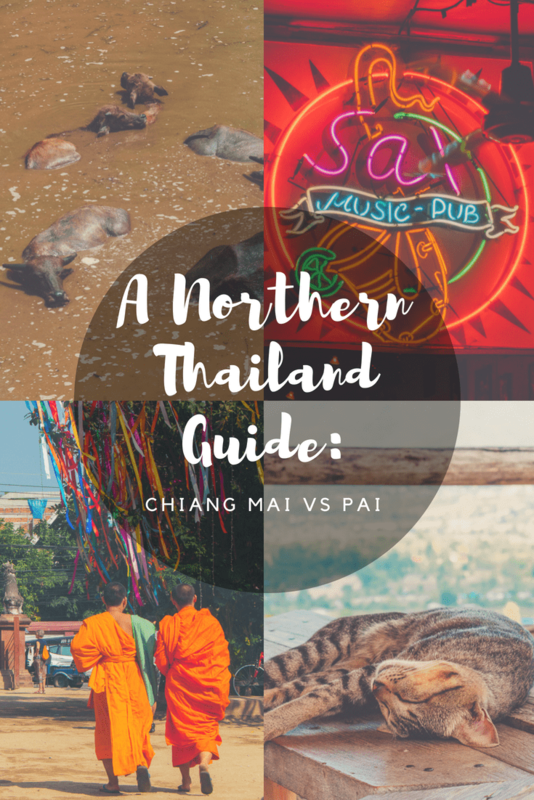 Did you love this article about Chiang Mai and Pai? 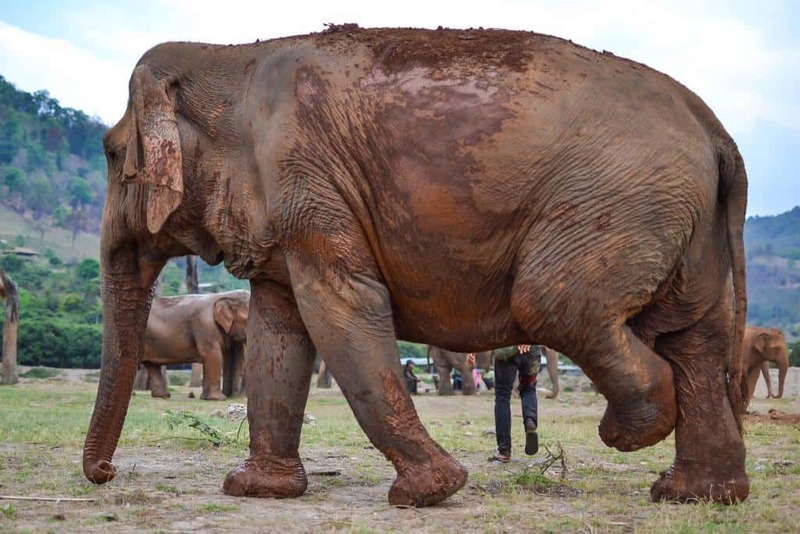 Do you want even more information about these two incredible cities and Northern Thailand? Then check out the following articles that we have rounded up for your reading pleasure. Enjoy!